Stampin' at Dawn: Acorns, Fall, and Stamping Fun! 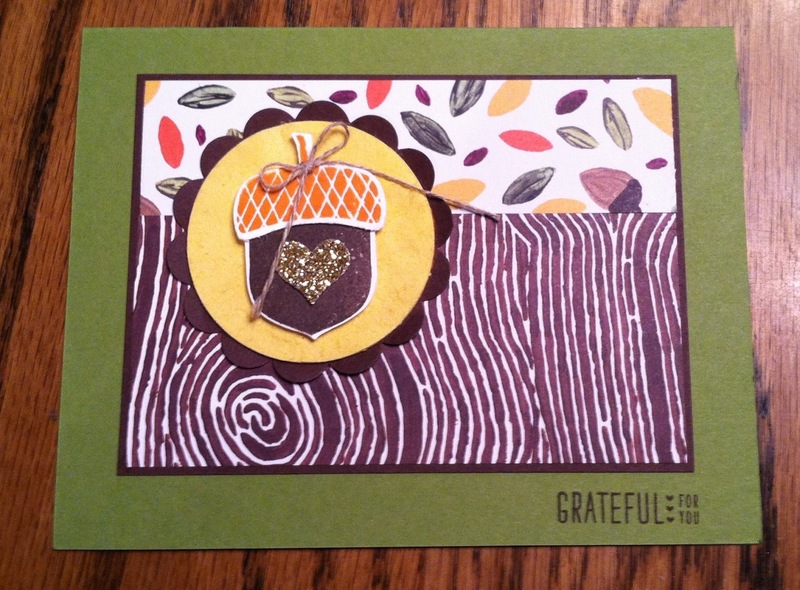 Acorns, Fall, and Stamping Fun! Isn't this acorn just the cutest? I can't wait to play with it more this weekend. The "Into the Woods" designer paper is the perfect foil for this set--Acorny Thank You---and you can bundle it too! The technique we used here was faux suede --it's hard to see, but the texture of suede is on the daffodil circle. France Martin designed a card a few years ago using this sponging technique and I still think it makes a striking fall card. 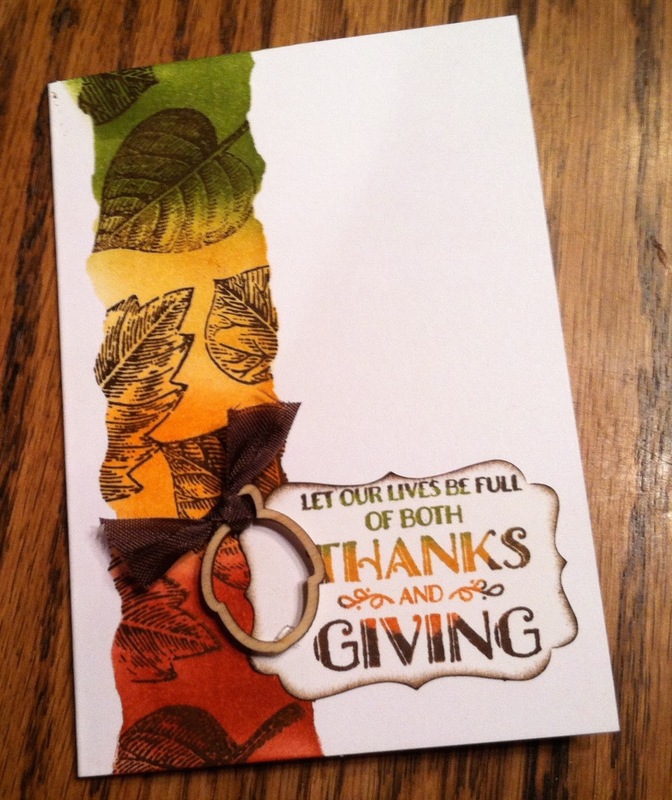 I used the Vintage Leaf set for the leaves and LightHearted Leaves for the sentiment. I have 2 containers of these cute wooden embellishments left over from last year and really need to get them used! Our last project was this little cutie--a mint for after dinner. 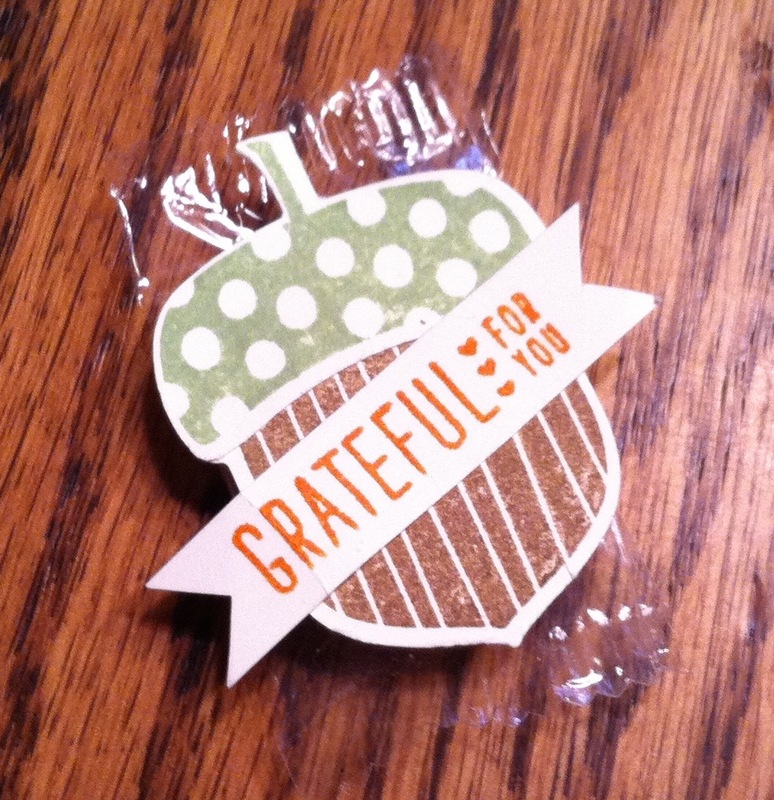 I think this would be a cute little thing to put at each person's plate when they join you for a fall feast! and you can crank out a bunch of these very easily!